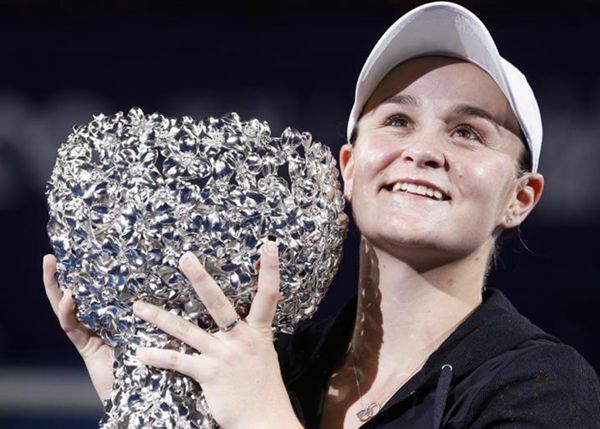 The 22-year-old Australian beat defending champion and top seed Julia Goerges in the semifinals and picked up where she left off in that match to win the US$2,349,363 tournament for the 12 best ranked players who fail to qualify for the WTA Finals. The ninth-seeded Barty, who reached the semifinals of the Wuhan Open in her last singles tournament, romped to a 4-0 lead over Wang in the first set at the Hengqin Tennis Center. Wang, 26, earned her place in the final by beating Spain's Garbine Muguruza on Saturday, having been drafted in to play the semifinal after American Madison Keys withdrew with a knee injury.